Yes, yes, I know – there’s been an awful lot of posts about the holidays at Loyola. 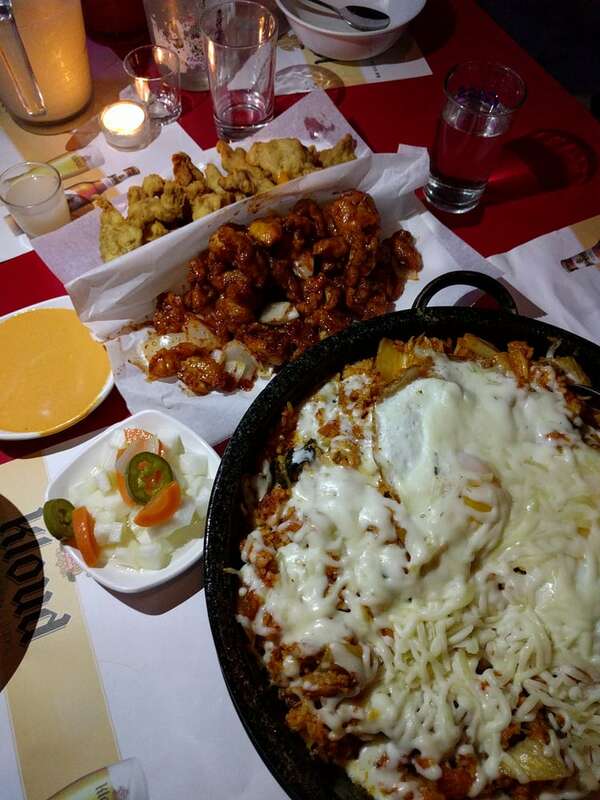 We can’t help it! You know what they say, it’s the most wonderful time of the year! 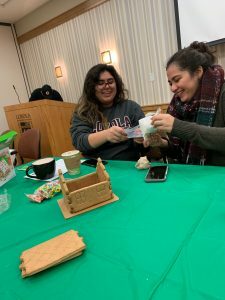 So, I wanted to talk a bit about one of my favorite organizations on campus, Alpha Psi Lambda National, Inc. They’re a co-ed Latinx-interest fraternity and as I write this, I have some sort of feeling like I’ve already made an appreciation post about them… but I went and checked and didn’t see anything, so that’s good. I see a lot of Alpha Psi Lambda because they’re another multicultural interest group (not exclusive) like my own sorority. Their members are sweet, driven, fantastic, and beautiful (I only think they’re alright, can you tell?) and all of their events are super fun. 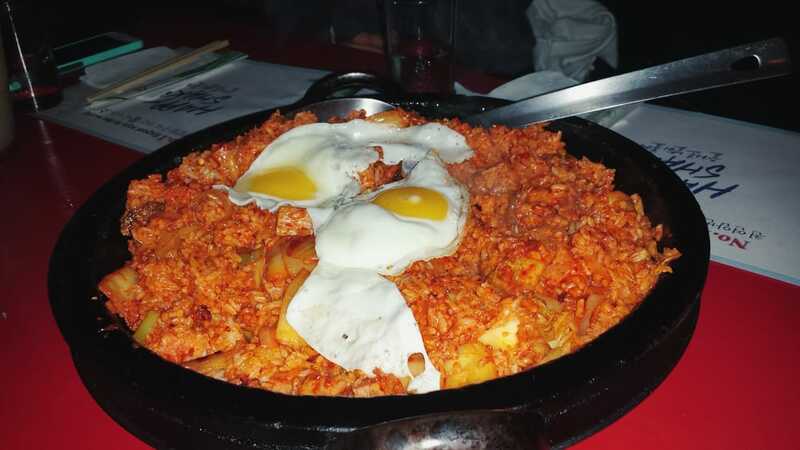 In fact, over the weekend, they had two events that I had so much fun at! 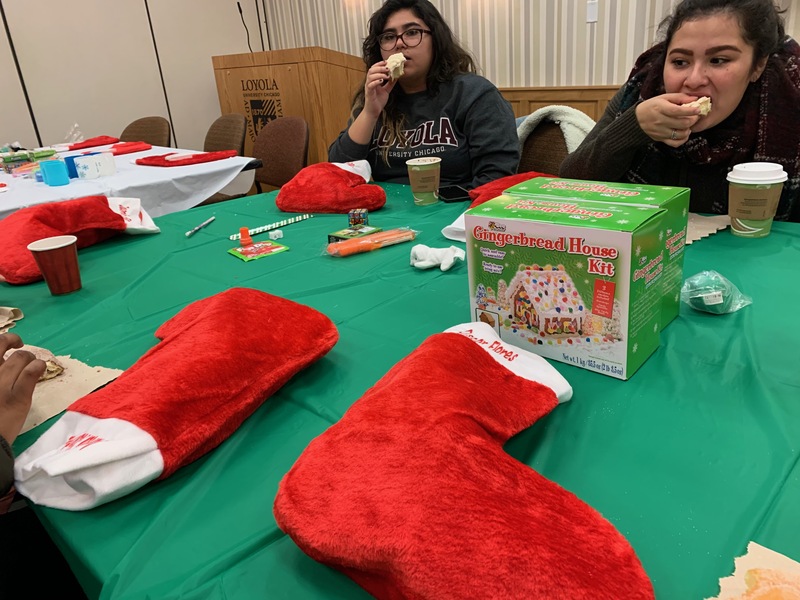 The first was making Christmas stockings for children of the Boys and Girls’ Club: they provided the items, from crayons to little toys to bubbles and so on, and personalized stockings (giant stockings!) for the kids, they just needed a few hands to help fill them. And fill them we did! After we finished, there was even gingerbread houses to make and hot chocolate to drink. 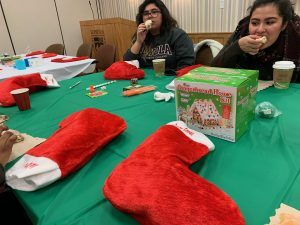 The Boys and Girls Club is Alpha Psi Lambda’s dedicated philanthropy, and they have several events and fundraisers over the year to help them, as well as volunteering directly. 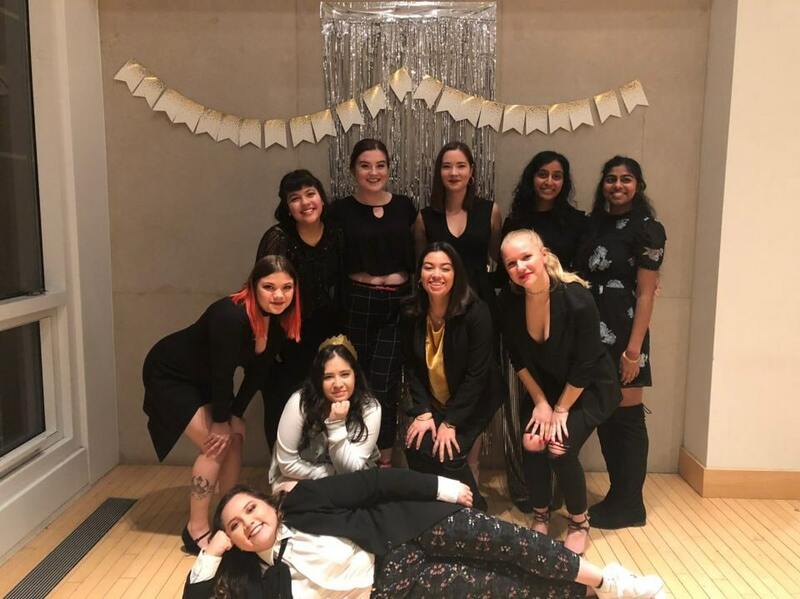 I’m always impressed by what Alpha Psi Lambda does and how many of them show up to support their events, given that everyone has busy and involved schedules! The second event was the Latinx Wonderland, a night of delicious food, karaoke, board games and laughter! It was planned, organized, and presented by their one associate member – like a member in training – and I went with two of my roommates and had an absolute blast! Most every semester they have an event like this, and it never disappoints. 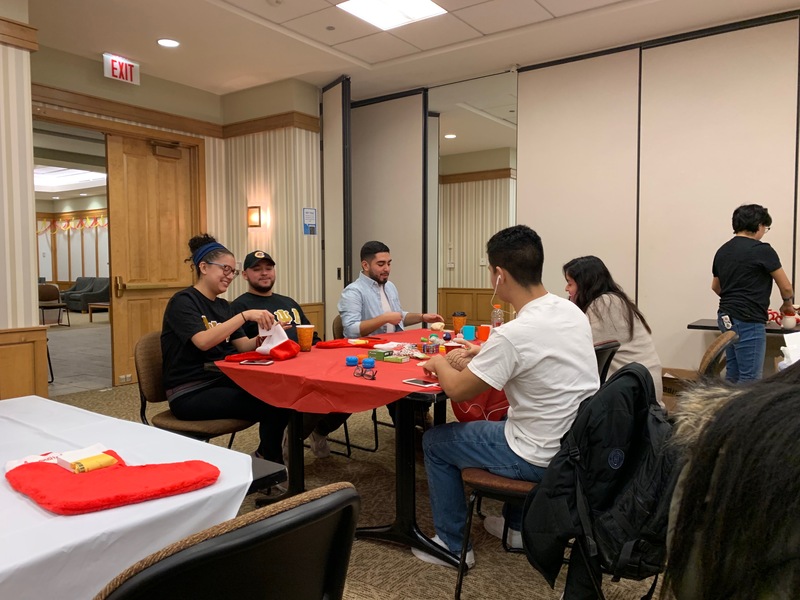 We played musical chairs and balloon-popping games too as a group, with Alpha Psi Lambda members from all around Chicago. Honestly, I was busy having too much fun to take pictures, so these are all from the first event. 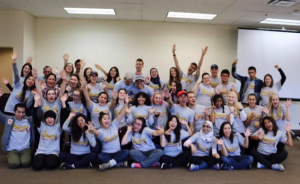 Such a ‘Bler: Sophomore Fall 2018 Student Organizations! 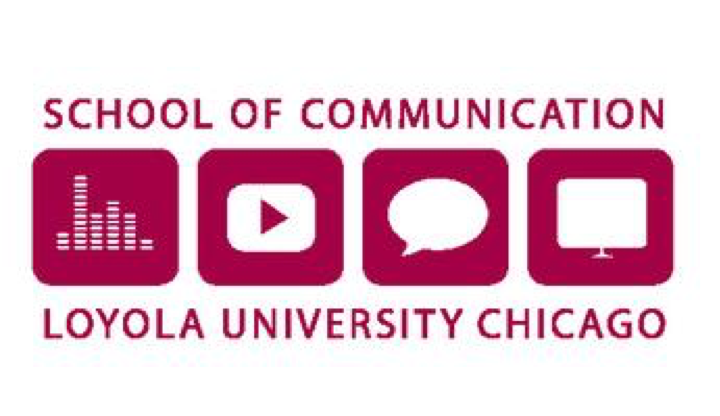 The Loyola Phoenix: This is Loyola’s student newspaper. 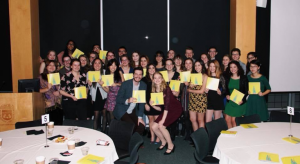 Being an award-winning student newspaper is definitely something worth applauding. I myself have expressed interest in the publication for its professional coat and commitment to weekly issues. Its articles are extremely up to date, informational and stylish. I was editor and chief of my middle school’s newspaper, before it crashed due to our low population of word nerds but that’s beside the point, and this would be a stack of paper fourteen-year-old me would look at in awe. Having also met some of the writers myself, the space behind the print is one really worth entering. They eagerly welcomed me since last year and as of the beginning of sophomore year, I honestly considered joining their Arts and Entertainment Section. But I am quite convinced that I am perhaps too abstract for their choice of writers. We’ll see where things go! Kettle Camp Studios: KCS is Loyola’s student production team. Each semester they write and produce an original web show which is then posted on their YouTube channel. Like the Phoenix, their work is extremely professional and oh so pretty. After watching their past series, I attended a few meetings and went on set as a crew member of the Production and Post-Production team. I even got to make a small cameo as an extra in the evacuation scene of the new series: Incidental! I eventually had to drop out because my schedule was getting out of hand and I felt like I couldn’t deliver my best efforts to the team, but I am definitely considering rejoining next semester! I miss these shutterbugs heaps. 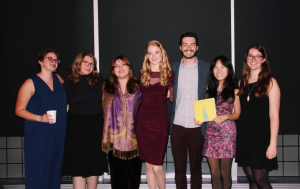 Diminuendo Literary & Arts Magazine: While the magazine isn’t sponsored by LUC’s School of Comm, I still wanted to mention it because it is the student organization that I’ve been most involved in and been involved in for the longest. As of this year, I am Diminuendo’s AD/PR Chair! 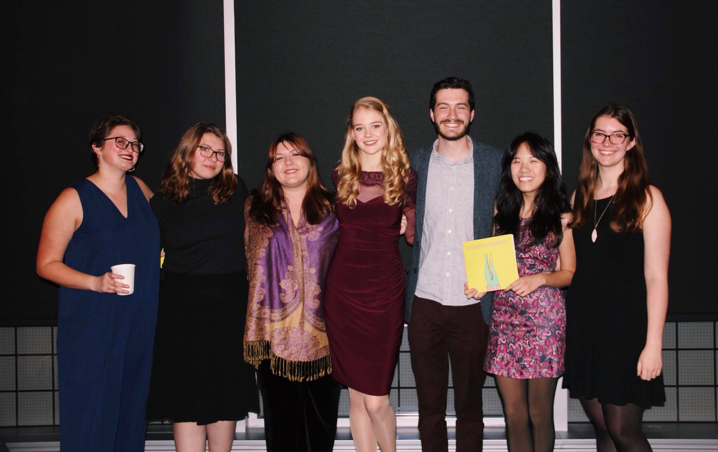 Every semester we publish a free issue that supports and promotes student artwork and literature. The creative works are submitted by students, reviewed anonymously by students, then assembled by students into a magazine. With every release of an issue, we have an event open to the public, whereat the published artists read and present their work. For several years now, faculty have participated in our open mic afterwards presenting their favorite works, and sometimes works of their own. Our Fall 2018 Issue was just published last Friday and copies can be picked up at Connections Cafe in the Loyola Information Commons now! I couldn’t be prouder. 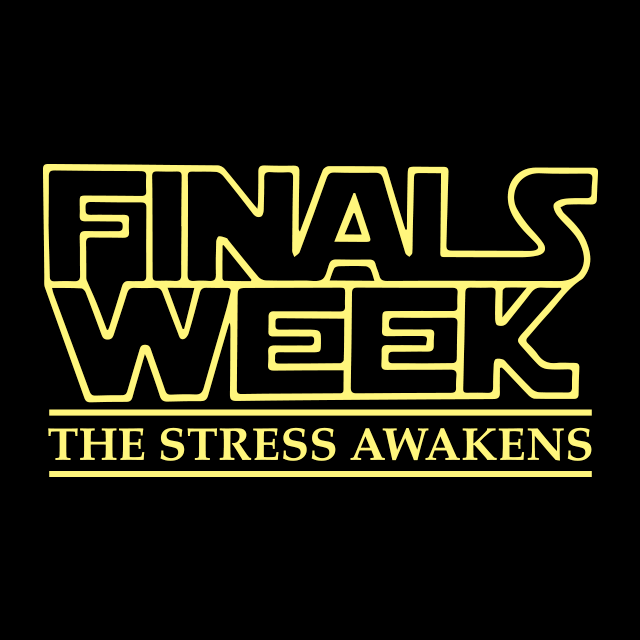 It’s been great fun and I can’t wait to see what next semester will be like…stay tuned! How’s finals been for you? 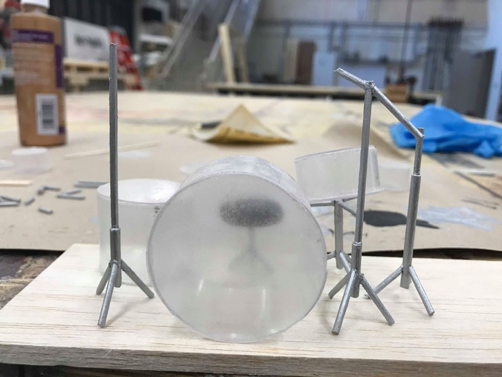 Here’s a sneak peak of my theatre scenic practicum final: it’s a miniature drum set. It’s not quite finished yet but I’m getting there. All the other scenic students are also wrapping up their work so it’s been quite an exciting atmosphere in the scene shop. I’ve been stressed if I am honest. But things around campus have been very jolly so my energy are sort of still intact. The Christmas tree in the Damen Student Center is up and beautiful. Everyone gathered for the annual lighting with hot chocolate and the Damen ice rink! 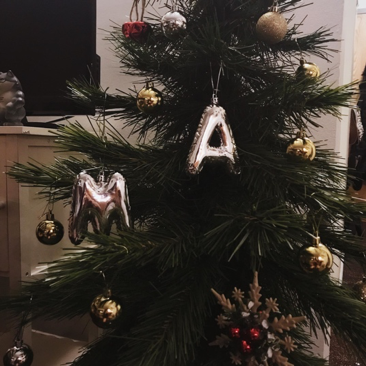 There’s one week left, and well two weeks until Christmas but my roommate and I also put up our Christmas tree for extra motivation. 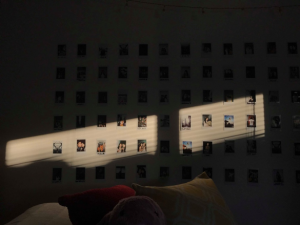 The sun was also sweet enough to shine so prettily through my window this afternoon. Marquette South Hall really isn’t that bad guys, it even smiles at you sometimes. 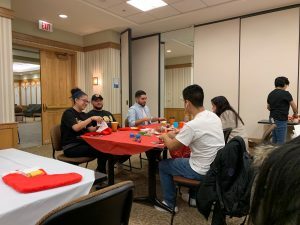 I’ve been seeing a lot of events around campus lately, from build your own break parfaits at Damen Dining to holiday movie nights. I think I’m going to see the Polar Express tomorrow at the Damen Cinema as a study break. It’s honestly weeks like these when I feel extra grateful for campus activities. 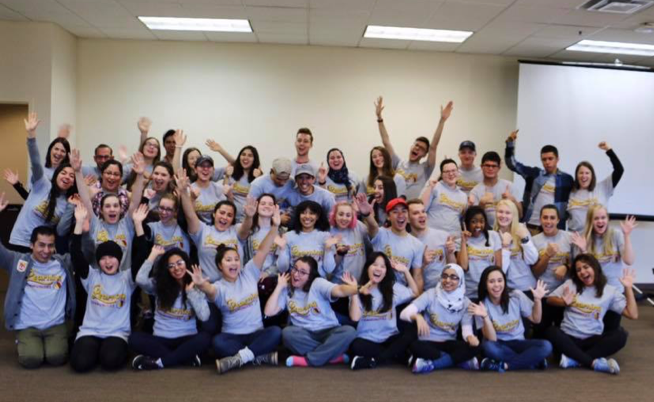 Freshman year, I was accepted into Loyola’s Leadership for Social Change Learning Community last year (here’s a picture of some of us at the Learning Community 360 Retreat last Fall semester). 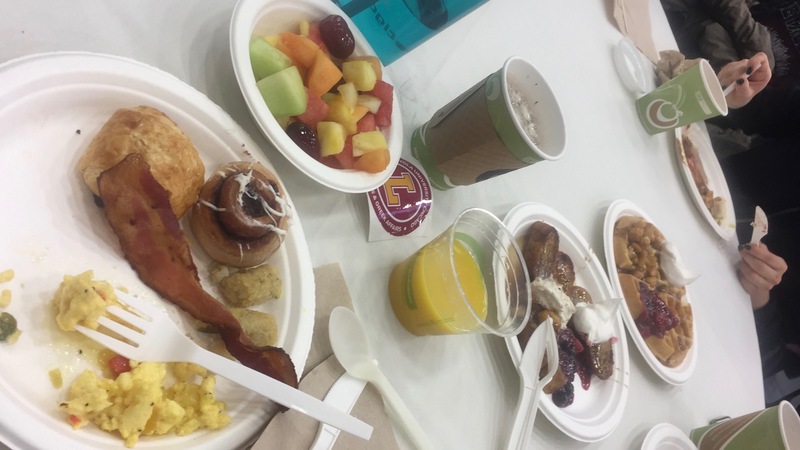 This year, I returned as an LC alumnus to talk to some new LC Ramblers about my LSCLC experience and my Loyola experience as a whole. They were as enthusiastic and determined, maybe even more, as I remembered my community being. It was interesting to hear their questions regarding student organizations and opportunities available at Loyola. One even voiced that she was concerned she was behind with her involvement (though she’s in her fall freshman semester and in 3 organizations and is looking for an internship!) I was very impressed and applaud them because I only got my job this year and am still looking for an internship. But I made sure to remind them to take things easy. During freshmen orientation, we were advised to join 2, and not 5 organizations as a start. I of course joined around 5 which I eventually learnt as of Spring semester was a bad idea. I eventually slowed down and found my rhythm. I told them my story, but then again that’s just me. I know for sure that whatever they choose, they will go onto achieving inspiring great things! I’m excited for these new LC ramblers and the differences they will make for Leadership and Social Change. Last Friday was an extra special day for us creatives of Diminuendo Literary & Arts Magazine because we it was our Fall 2018 Issue release party! 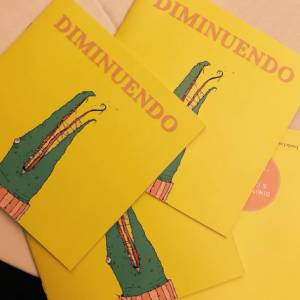 Diminuendo is Loyola’s student-run literary and arts magazine and every semester we publish an issue of original student art! Submissions are received from ramblers and are reviewed anonymously and put together into a beautiful spread by our editorial staff. This year I’ve had the honor of being elected AD/PR chair and it’s been incredible. But I honestly couldn’t have done it without my empowering e-board and dedicated members. Enthusiasts joined us for a night of great company, great food and celebration of great art. Each artist was recognized and those who wrote a literary piece read theirs out. There was also an open poetry mic at the end. This issue is said to be our most competitive one yet! Personally, I would frame it on my wall. The team really stepped it up this round around and I can’t wait to see what we have in stored for next semester. You can pick up a copy from our magazine rack in Connections Café in the IC now! We also launched a website this semester: diminuendoluc.com. I am one proud AD/PR chair! 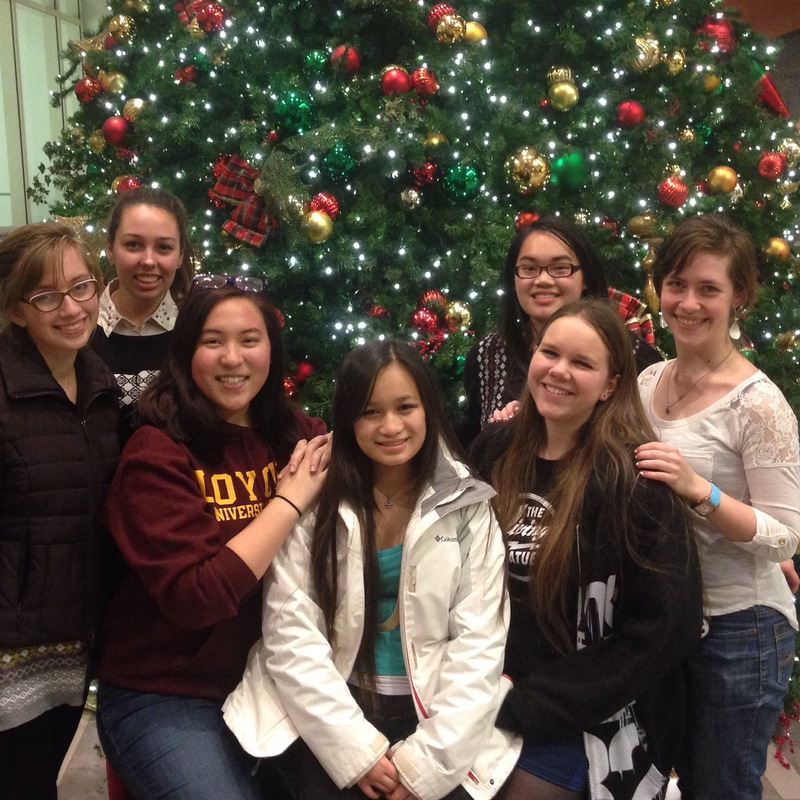 The Damen Student Center had its Annual Christmas Tree Lighting Ceremony! 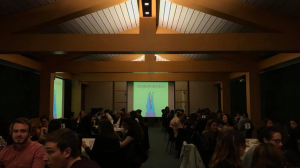 This year’s event was held on Thursday, November 29th, at 5 p.m. in the Damen Student Center Atrium. The tree was officially blessed by our partners in Campus Ministry and was officially lit at approximately 5:10 p.m.
Damen Student Center provided a chocolate fountains (and all the trimmings), gingerbread house making, a synthetic ice skating rink (skates provided), and pictures with Santa Claus! There was also plenty of hot chocolate that was served with yummy marshmallows and chocolate! Here is a link with all the pictures, and if you missed it this year, be sure to stick around for next year! It is open to the community as well! 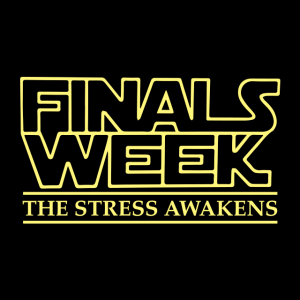 I wish everyone the best of luck on finals! Do the best you can, make sure you have tons of caffeine, and be optimistic. You won’t have to deal with this again until January 17th!